This is Low playing in Whelans a few weeks ago. I’ve always liked Low – one of those rare bands who have a unique sound and are utterly in control of what they’re doing. I liked them even more when I heard they did a 30 minute drone version of one of their songs at a festival in the US earlier this year. The gig in Whelans was a more conventional affair but still great. My Bloody Valentine should take a leaf out of their book and just do one solid hour of the noise section in You Made Me Realise at Electric Picnic on Friday night. As usual this photograph was created with a single exposure: shutter opened at the start of the song and closed at the end. This was the second song of their set and is an exposure of 3 minutes and 19 seconds in length. I was pretty sure that the photograph would not work out because of the film footage being projected on to the back of the stage (that usually messes things up) but it did. 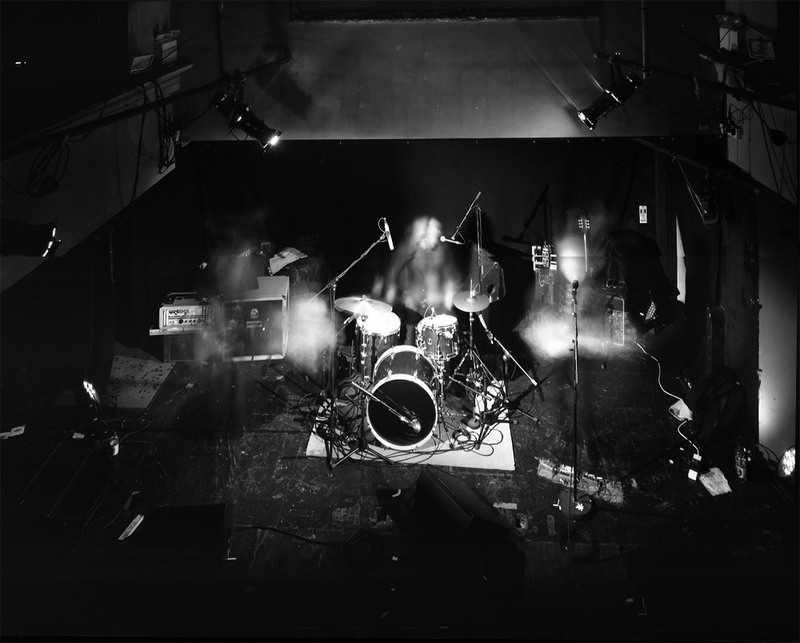 First gig photograph done with my lovely spanking new Toyo 4×5 camera and scanned on my equally lovely new Epson V700 scanner. This is Retribution Gospel Choir, shot in Whelans back on the 13th of March. It was a pretty sparsely attended gig, which surprised me, as the band are a side-project of Alan Sparhawk of Low. I only decided to go in on the day, and the extraordinarily helpful Alastair Foley of Whelans/Foggy Notions sorted out access for me.